The construction of the 63rd Outpost in Providence was reported after downtime tonight by Rovern Hashu, CEO of Imperial Dreams, in CVA alliance chat. Several months in the making, this project was financed by donations from Imperial Dreams members. 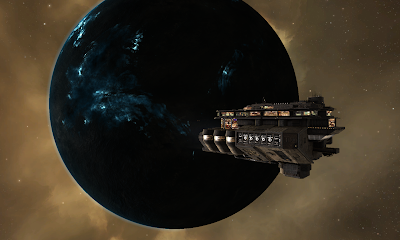 Initial deployment was tense as a rouge THORN alliance manticore pilot logged into system just as the Egg was beginning its anchoring process, luckily the bomber pilot did not investigate why the freighter had been in system and logged off with 20-30 minutes left on the anchor. The egg anchored with roughly 30 minutes to move all the materials in from the neighboring station in 3GXF-U before downtime, with a fleet of two arks and two Providences IG pilots were able to move materials safely with the help of several Polaris Project and 4th District pilots providing security and webs. The egg was filled with several minutes to spare and placed into build, ending a night of frantic and stressful last minute hauling trips and efforts. We at IG would like to first and foremost thank ourselves for the long-drawn out resource gathering process as the project was delayed for several months due to outside issues. We would also like to thank Polaris Project members for titan bridges and freighter hauling as well as 4th district and other CVA members for scouts and escorts during the construction process. Lastly we must thank one Balder Con for his acquisition of plutonium. We couldn't have done it (as easily) without you. This construction marks the 63rd outpost in Providence, reducing the number of systems without an outpost to 21. January 26th saw the construction of the 62 outpost in Providence and the acquisition of Care Factors 3rd Outpost. A Minmatar refinery built in G-B22J, the outpost has a beautiful backdrop of the nearby Plasma planet, G-B22J IV. The construction of C.F. Central Command brings the regions total to 62 outposts in 84 systems, leaving just 22 systems without outposts. First of mad apologizes for the delay in this release. On the 19th of January The Eden Trading International Corporation announced their plans to leave CVA and join their friends in Paxton Industries in another endevour. 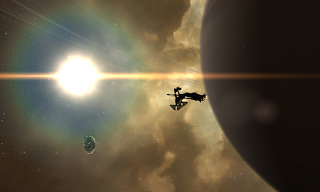 Hexentanz explained their plans in an announcement in the allied section of theCitadel Forums. As it maybe already came to your attention, TETIC is leaving CVA for a new offensive task. 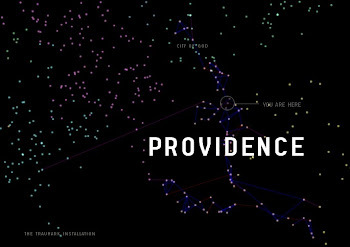 We're happy with what providence became in the last 2 years where we were part of CVA. Being a corporation primary up for supporting its alliance in war and offensives, we're not having much to do now, as operation deliverance is completed to what it is designed for - holding providence. I want to thank Everyone for the great time, especially also Codo Yagari, XavierVE, Tasha Diabolique and many others. 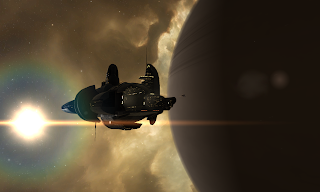 Special thanks also to Equinox Daedalus for keeping the wagon together in easy and in rough times. Keep up the reunion of alliances to make provi bloc strong and pulling on the same rope. With the leaving of the 100+ man corporation TETIC and the recent departure of the 160+ man Firestar Corporation, and the removal of the inactive corporation Humantarget, CVA has lost significantly manpower recently. However as many have reported such is the cycle of Eve, and with recent new additions in Catalina Operations and Logistics Division, and the recent resurgence of Polaris Project with the merging of active elements of Nihilistic Social Club, CVA is already swinging back. It is with a sad heart that we say goodbye to our good friends in Firestar. Today they have fully withdrawn their last remnants of infrastructure from Providence and turned over their systems to other CVA corporations. Firestar have taken the decision to leave CVA and Providence and go of to do other parts of the Eve Universe. Despite conjecture and wild rumour this is really purely driven by a corp need for something new to do a little different and a little more exciting. We go of to the North not to join one of the large and powerful alliances, that would have been to easy, instead we join an alliance which will offer us a challenge and provide us with something to work for as we help it to develop and grow. We wish you well with continuing with your own projects in Provi, take care of it and try not to lose it. Our new home is unlikely to bring us into much contact with you and as we will surely be red to CVA & Holders if it does then I hope we can have as much fun and GF's as we have had with you all while fighting alongside each of you. Most Firestar Inc. systems were split between Rennefur and Corp 54 who have fully moved into the QBL pocket. Other systems are being split between other CVA corporations. This past weekend saw several CVA towers assaulted, two in INQ and the jumpbridge POS in D-GTMI by elements of the HBC, believed to be led this time by THORN alliance. The INQ area saw several fights between numerous separate entities such as Initiative., Darkside, Rooks and Kings/ Pure Madness, CVA, and the HBC. It eventually saw the two towers saved by CVA with good fights seemingly for all sides. After one corp in CVA (W.A.S.P if I am not mistaken) reinforces several moon goo towers in Northern Catch, to no avail, they send a threat saying they will keep hitting our towers. So we go give CVA a taste of their own medicine. A quick inquiry amongst the accused corporation painted a slightly different picture. After the retreat of -a- forces W.A.S.P saw an opportunity and quietly towered several semi-valuable moons in -a- renter space that had been abandoned. When North Providence Blues took than were forced to relinquish the previous -a- renter space THORN swooped in for the grab taking the systems. Logically they wanted the moons as they now owned the space. In stead of just asking for W.A.S.P to remove the POS they of course threatened W.A.S.P. W.A.S.P members removed some POS but feeling angsty didn't pull all of their towers down so logically Thorn started assaulting W.A.S.P towers. Of course W.A.S.P members didn't really expect to hold the moons but after being threatened weren't really going to just roll over and retaliated, reinforcing several weak THORN miner towers in the area. THORN responded by threatening to remove CVA and Co from Providence. W.A.S.P retaliated by reinforcing a few more towers. And now THORN have called on their HBC brethren to hit CVA towers in Providence INCLUDING key infrastructure positions. At no time, according to W.A.S.P leadership were THORN ever threatened. With these key exchanges its hard to say which way this confrontation will go as THORN will logically use all HBC forces they can as will CVA use Providence forces to defend their towers and space. With the constant chance of interference from third parties such as Darkside. and Rook and Kings, its likely any sort of escalation could get ugly and impede the semi-peaceful development of Providence as conflict always increases outside attention to an area. At this time its suggested that Providence residents keep their eyes on fleet and intel channels and have contingency plans in case the jumpbridges are removed again.